When we were kids we loved playing cops and robbers in the playground, it was only when we got older that we realised that there wasn’t really a place for it in adult life, until now! 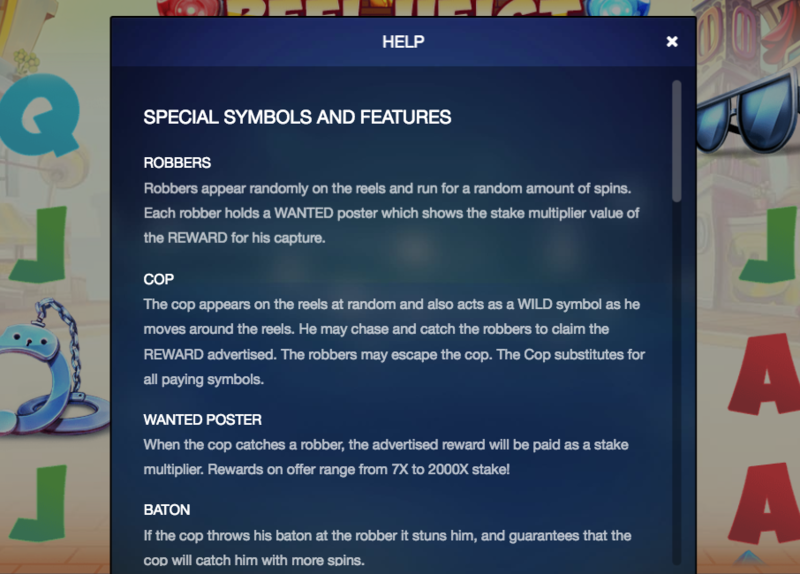 Reel Heist is an online slot that comes to you from developer Red Tiger Gaming, a slot that gives you all the chances in the world to pick a side and make some decent coin in doing so. 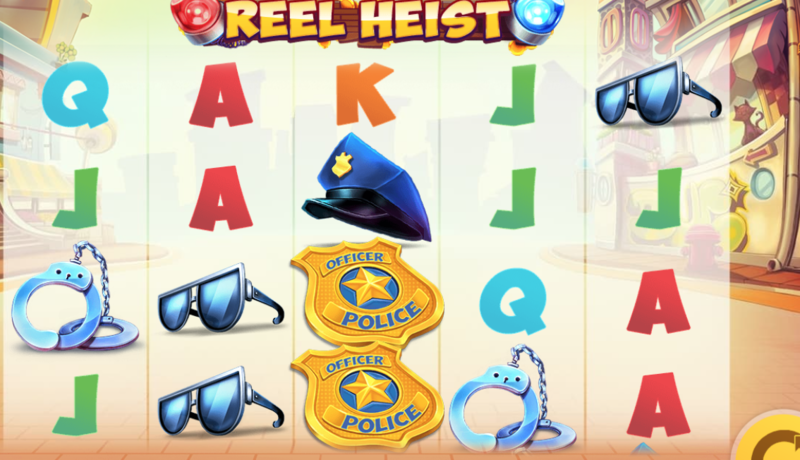 Reel Heist is a 5 reel slot, one that features 20 paylines for you to navigate in order to string together wins on an effective scale. This is quite an immersive slot, one that is incredibly versatile in the way that it plays and the additional features it has streamlining throughout. Be sure to check out the rest of the review below for more info! Join and spin today here at Easy Slots! Wanted Poster: The wanted poster symbol here will be one to look out for that’s for sure! Matching this symbol will instantly give you 2000x your initial bet, which is no doubt a great way of getting the highest of scores possible from just playing normally. Wilds: Wild symbols work in the ways you’ve probably come to expect from most online slots. Wilds will substitute symbols when matched, turning most symbols into scatters that will open doors to free spins as a result. 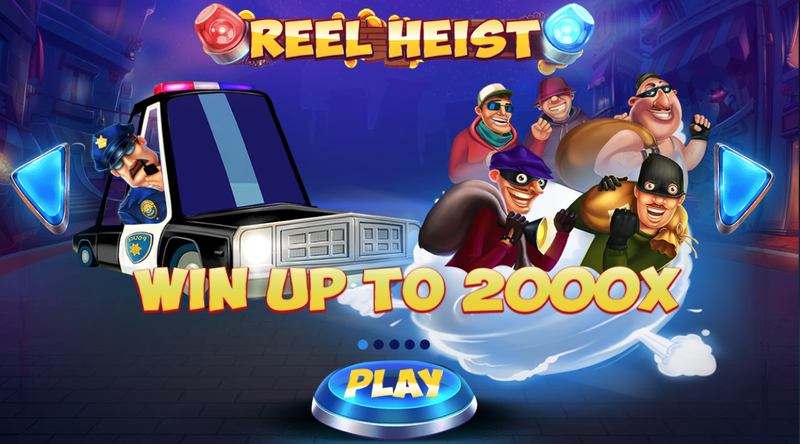 Reel Heist is a very fun slot, one that can have you running all the way to the bank with the money you’ve accumulated through standard play! We can’t get enough of this slot and are pretty sure you’ll feel the same way. If you enjoy fun casino slots games that don’t take themselves too seriously then this will be the one for you, play now!